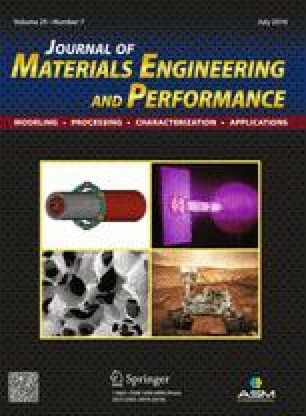 This research aimed to study the effects of laser glazing treatment on microstructure, hardness, and oxidation behavior of Stellite 6 coating deposited by high velocity oxygen fuel (HVOF) spraying. The as-sprayed Stellite 6 coating (ST-HVOF) was subjected to single-pass and multiple-pass laser treatments to achieve the optimum glazing parameters. Microstructural characterizations were performed by x-ray diffractometry and field emission scanning electron microscopy equipped with energy-dispersive spectroscopy. Two-step optimization showed that laser treatment at the power of 200 W with a scan rate of 4 mm/s causes a surface layer with a thickness of 208 ± 32 µm to be remelted, while the underlying layers retain the original ST-HVOF coating structure. The obtained sample (ST-Glazing) exhibited a highly dense and uniform structure with an extremely low porosity of ~0.3%, much lower than that of ST-HVOF coating (2.3%). The average microhardness of ST-Glazing was measured to be 519 Hv0.3 indicating a 17% decrease compared to ST-HVOF (625 Hv0.3) due to the residual stress relief and dendrite coarsening from submicron size to ~3.4 µm after laser treatment. The lowest oxidation mass gain was obtained for ST-Glazing by 2 mg/cm2 after 8 cycles at 900 °C indicating 52 and 84% improvement in oxidation resistance in comparison to ST-HVOF and bare 316L steel substrates, respectively.